2017-05-16T05:44:09.163578Z 0 [ERROR] InnoDB: Operating system error number 2 in a file operation. 2017-05-16T05:44:09.163580Z 0 [ERROR] InnoDB: The error means the system cannot find the path specified. 2017-05-16T05:44:09.163582Z 0 [ERROR] InnoDB: If you are installing InnoDB, remember that you must create directories yourself, InnoDB does not create them. 2017-05-16T05:44:09.163587Z 0 [ERROR] InnoDB: Operating system error number 2 in a file operation. 2017-05-16T05:44:09.163589Z 0 [ERROR] InnoDB: The error means the system cannot find the path specified. 2017-05-16T05:44:09.163591Z 0 [ERROR] InnoDB: If you are installing InnoDB, remember that you must create directories yourself, InnoDB does not create them. 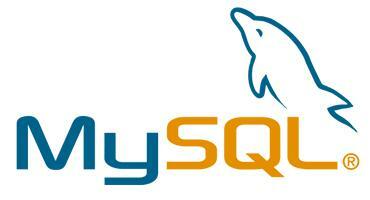 efer to http://dev.mysql.com/doc/refman/5.7/en/innodb-troubleshooting-datadict.html for how to resolve the issue. 2017-05-16T05:44:09.891004Z 0 [Note] InnoDB: FTS optimize thread exiting. 170516 14:20:57 mysqld_safe Logging to '/data/mysql/mysql.err'. 2017-05-16T14:09:12.390930+08:00 0 [Note] InnoDB: If the mysqld execution user is authorized, page cleaner thread priority can be changed. See the man page of setpriority(). 2017-05-16T14:09:12.400674+08:00 0 [Note] InnoDB: The first innodb_system data file ‘ibdata1’ did not exist. A new tablespace will be created! 2017-05-16T14:09:12.420788+08:00 0 [ERROR] InnoDB: redo log file ‘./ib_logfile0’ exists. Creating system tablespace with existing redo log files is not recommended. Please delete all redo log files before creating new system tablespace. 2017-05-16T14:09:12.420841+08:00 0 [ERROR] InnoDB: InnoDB Database creation was aborted with error Generic error. You may need to delete the ibdata1 file before trying to start up again. 2017-05-16T14:09:12.762441+08:00 0 [ERROR] Plugin ‘InnoDB’ init function returned error. 2017-05-16T14:09:12.769643+08:00 0 [ERROR] Plugin ‘InnoDB’ registration as a STORAGE ENGINE failed. 2017-05-16T14:09:12.790050+08:00 0 [ERROR] Failed to initialize plugins. InnoDB: is in the future! Current system log sequence number 78250719.